Jeremy Bentham (15 February 1748 – 6 June 1832) was an English, jurist, philosopher, and legal and social reformer. He is best known as one of the first people to be for utilitarianism and animal rights and gay rights. 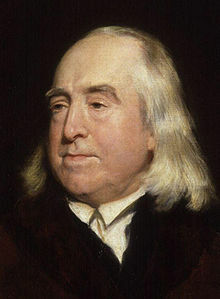 Bentham was one of the most influential (classical) liberals, partially through his writings but particularly through his students all around the world, including John Stuart Mill and several political leaders (and Robert Owen, who later started the idea of socialism). He is believed to be the innovator of classical liberalism, a term first coined in the 19th century. After he died, his body was preserved and is on public display at University College London to this day. This page was last changed on 23 October 2018, at 08:58.